Work has already commenced on major tourist and leisure attractions across Dubai with developers continuing to announce new destinations. The latest announcement is of the Dh10-billion Al Mamzar Beachfront project, with a possible unveiling of a mega development in Dubai World Central. Billions of dirhams worth of projects such as Bluewaters Island, Dubai Creek Harbor, Dubai Water Canal and Dubai theme parks are already underway, with Aladdin City and Al Mamzar projects likely to break ground by next year. 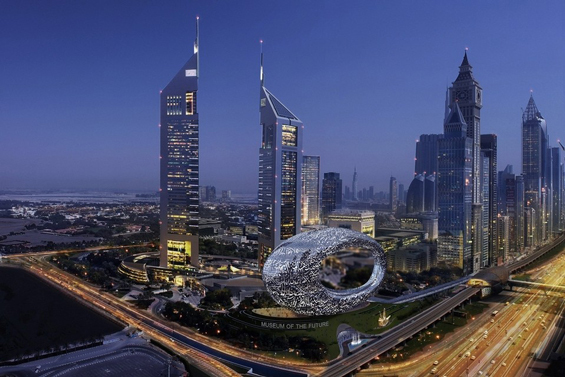 Majority of these attractions are set for completion before 2020 – the year when Dubai will host Expo 2020. Sheikh Hamdan bin Mohammed bin Rashid Al Maktoum, Crown Prince of Dubai, Chairman of Dubai Executive Council and also Chairman of the Board of Trustees of Museum of the Future, has issued directives for quick implementation of the work plan for the museum as it plays an important role as a source of inspiration for innovations and an incubator for ideas. 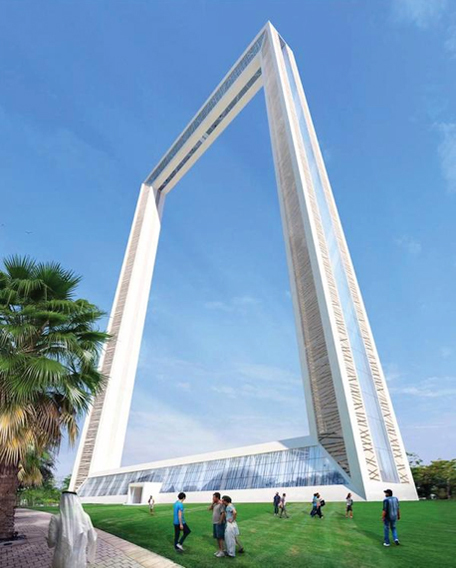 Located in the Emirates Towers area, near Sheikh Zayed Road, the project will be completed by 2017. It will provide the best innovative environment in the world with visitors being able to experience the future through cutting-edge simulations and interactive demonstrations. The museum will hold scientific conferences and offer advanced courses and specialised workshops on design and innovation covering the latest scientific developments, trends and designs as well as their practical applications. Work has commenced on the Bluewaters Island with the first frames of Dubai Eye, billed to be the world’s tallest Ferris wheel, being installed. The Roads and Transport Authority (RTA) has also awarded a Dh475 million contract to link the project to the mainland. 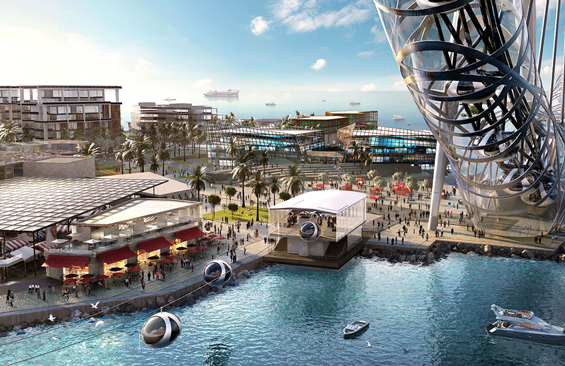 Besides, the Ferris wheel, the project will be demarcated retail, residential, hospitality and entertainment zones. It will also house a boutique five-star hotel and offer residential options. The island is anticipated to attract more than three million visitors per annum. The Dh6-billion Bluewaters Island is set to be one of the largest tourist hotspots in the world and is being built near Jumeirah Beach Residence. Meraas Holdings is the developer of the project. 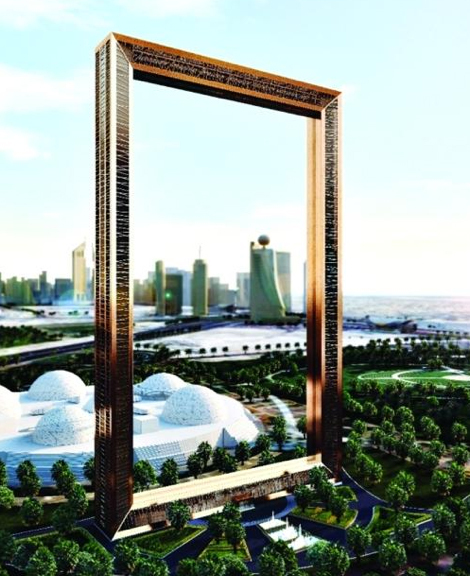 Dubai Municipality is aiming to make Dubai Frame the number one tourist attraction globally, as it is expected to completed by mid-2015. “We are aiming to make it the number one attraction in the world,” Hussain Nasser Lootah told Emirates 24|7. The location of the giant rectangular frame is Zabeel Park and was chosen to give visitors the best view of both old and new Dubai. Emaar Properties and Dubai Holding have commenced work on the project, which includes the world’s tallest twin towers. The development, which is three times the size of Downtown Dubai, is located alongside Dubai Creek and adjacent to Ras Al Khor. It will comprise 3,664 office units, eight million square feet of retail space, 39,000 residential units and 22 hotels with 4,400 rooms. 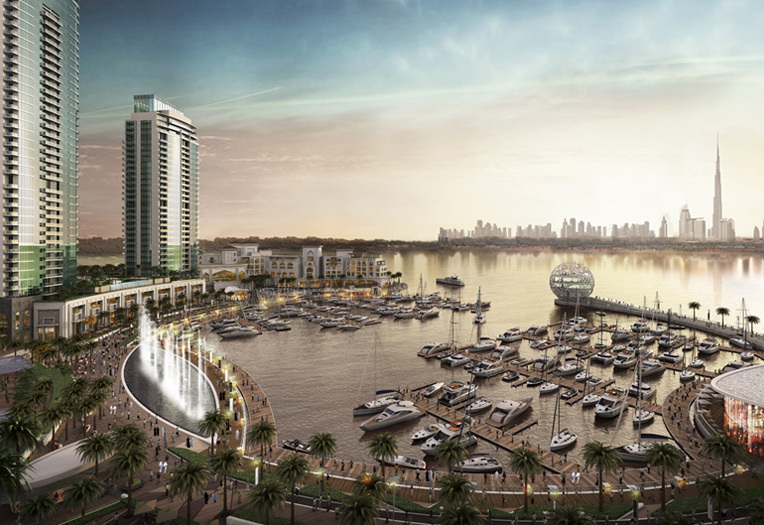 The developers have launched the first phase - Dubai Creek Residences - a cluster of six towers. No details have yet been disclosed on the twin towers. The Roads and Transport Authority (RTA) has confirmed completion of 33 per cent construction on the Dh2-billion water canal project. The construction of bridges on Al Wasl Road is in full swing, along with laying of utility lines. The project is expected to be completed by mid-2016, including the 16-lane flyover on Sheikh Zayed Road, as well as the flyovers on Al Wasl and Jumeirah roads. Work on all three phases of the canal project is being carried out concurrently, with excavation of the canal under way inside Safa Park. The development, launched in October 2013, will see the extension of the Dubai Creek by three kilometres and the canal connecting the Business Bay with the Arabian Gulf. 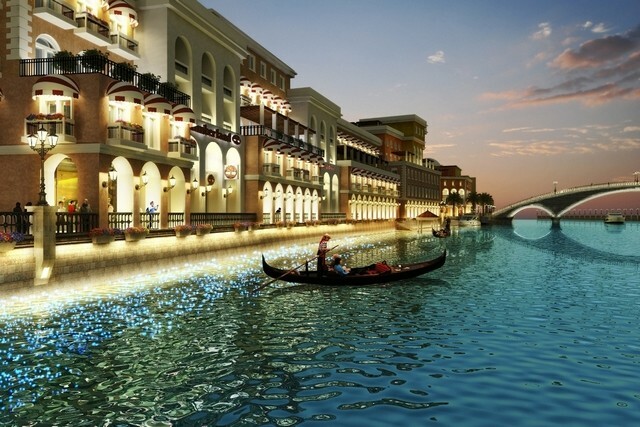 The waterway will stretch three kilometers in length and width ranging from 80 to 120 meters. 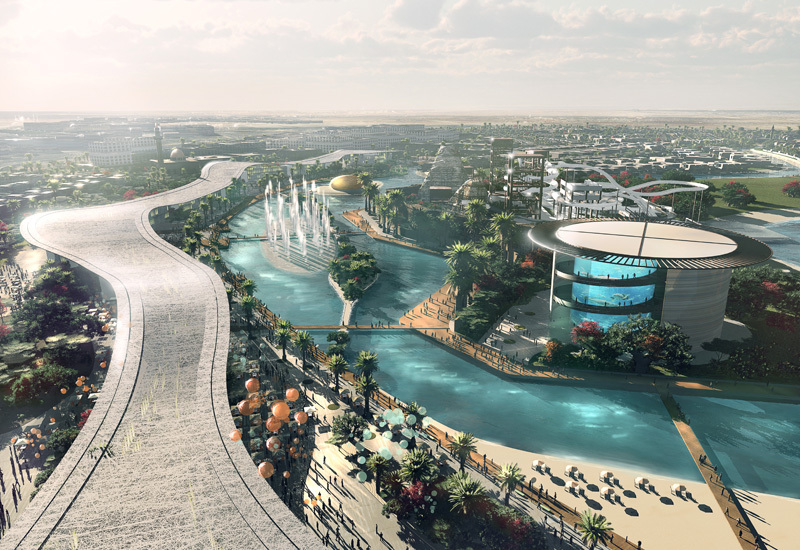 Dubai Parks and Resorts has confirmed that the construction of the theme park is 17 per cent completed and 40 per cent of the ride engineering and manufacturing has been completed. Opening in October 2016 will be three theme parks: Motiongate Dubai, Bollywood Parks and Legoland Dubai. 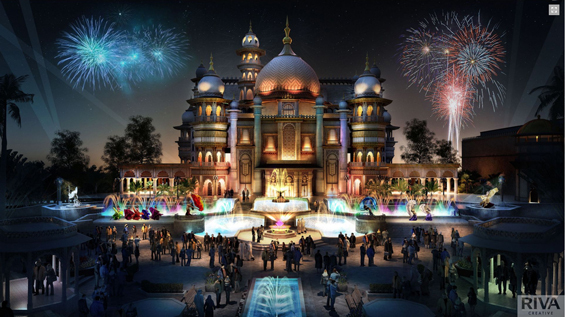 About 30 per cent of the construction has been completed on Bollywood Parks with the Rajmahal Theatre well under way. It will include a 60,000 square feet stage that will hold Bollywood-themed performances. The foundation of Legoland has also been put in place and will have 15,000 models comprised 60 million individual blocks. This theme park will cater to kids aged two to 12. 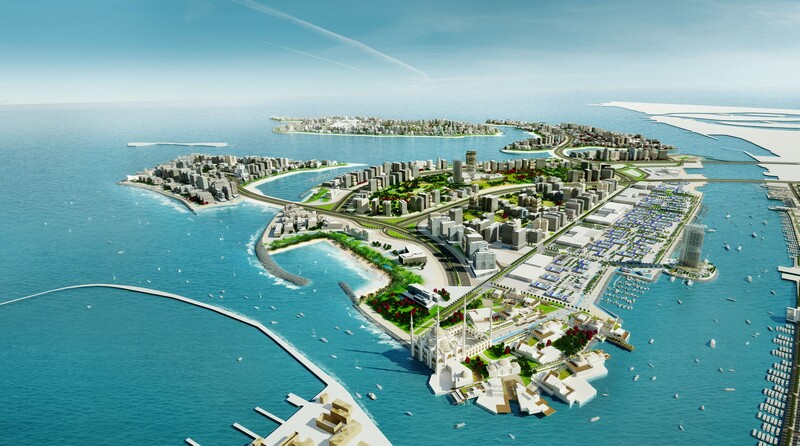 Nakheel has started construction on the Deira Island project, by awarding and floated infrastructure development tenders. 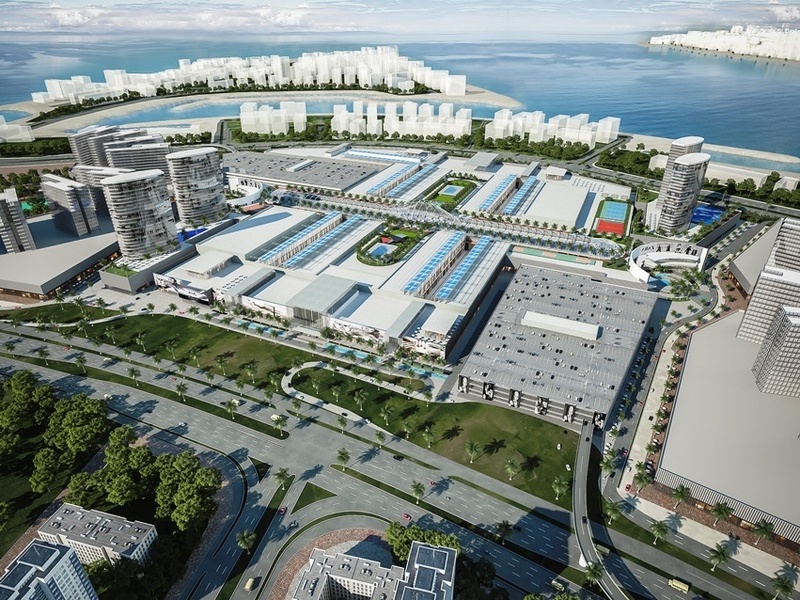 It has currently partnered with Spain’s RIU Hotels & Resorts to build a 750-room beach resort in the project, which covers 1600 hectares and will add over 40 kilometres, including 21 kilometres of beachfront, to Dubai’s existing coastline. Three hectares have been dedicated to hotels and resorts and 424 hectares for mixed-use developments. A night market designed in the style of a Arabic souk will be built, having over 1,400 retail units and restaurants with a number of anchor stores. There will be an amphitheater with a capacity 30,000 people; a creek marina to accommodate large yachts and a range of additional marinas offering mooring facilities directly outside residences. Meydan Sobha, the developer of $10-billion Mohammed Bin Rashid Al Maktoum (MBR) City - District One, will handover the first and second phase of villas in mid-2016 and mid-2017. Work on vertical structures as well as infrastructure, including an 8.8 kilometre bicycle and jogging track, are progressing rapidly. At present, there are over 4,000 workers on site, with numbers expected to reach more than 7,000 workers in a few months. Covering 1,100 acres, MBR City - District One includes a seven-kilometre stretch of Crystal Lagoons, the world’s largest artificial beach and a 14-kilometre boardwalk. The delivery of the lagoons has been linked with completion of the residential phases, with the entire development slated to be completed by 2020. 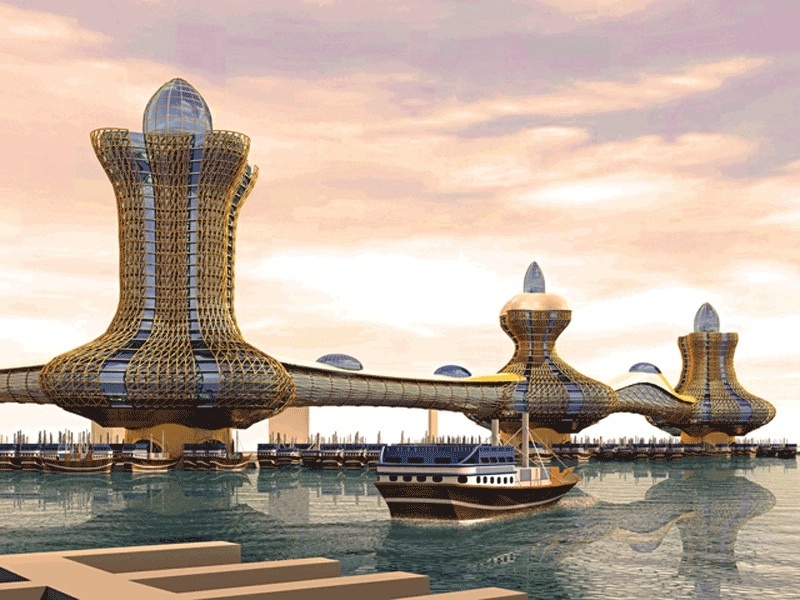 Dubai Municipality is in the process of finalising a design consultant for Aladdin City, a project inspired by the tales of Aladdin and Sindbad. “There are many things that we have to look into before we start the project and so we are in talks with other government institutions such as Dubai Trade Centre and other departments that are near to that area,” Abdulla Mohammed Rafia, Assistant Director General for Engineering and Planning Sector, DM, told Emirates 24|7. Municipality’s Director-General Hussain Nasser Lootah had told this website earlier that they were planning to start work by next year and all the necessary funds to finance the project were in place. 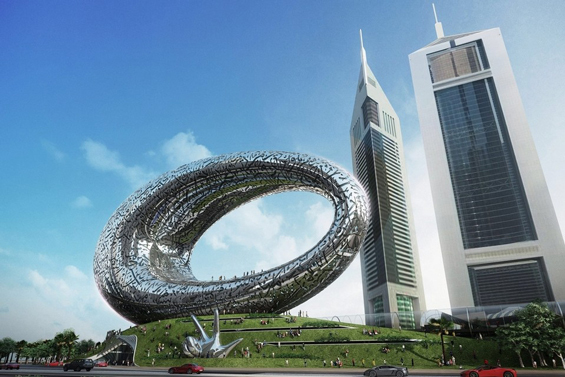 Announced in April 2014, the project will have three towers, comprising commercial and hotel space, with the towers spread over a distance of 450 metres on Dubai Creek. It will have air-conditioned bridges with moving floor to connect the towers, driveways and parking lots. Emaar Properties and Dubai Municipality will build Al Mamzar beachfront project at an initial cost of Dh10 billion. The project, which is stretching over nine million square feet, will have 4,000 residential units, 300 hotel rooms, 250,000 square metes of retail amenities and 3.5km of walking tracks covered with plantations. Emirates 24/7 reported in April 2015 that work on the project by early next year. “We are working on the project and the concept design has been agreed on. It is going to be a destination like others areas such as JBR with work likely to start early next year,” Abdulla Mohammed Rafia had told Emirates 24|7.